Although summer may officially be over for many in the USA, living in Southern California summer is more of a lifestyle than a season for us. The beach was empty and quiet today now that most summer tourists are back at work. 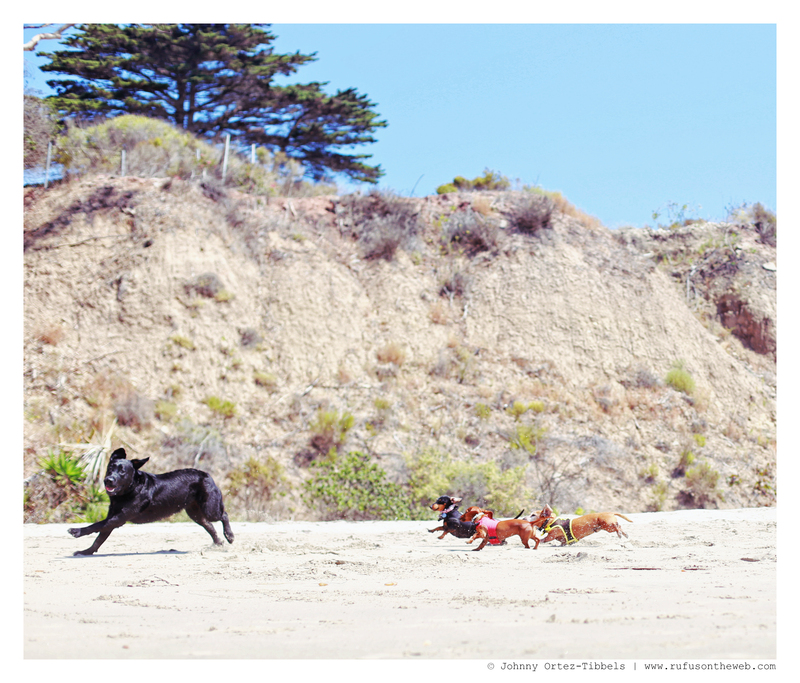 Rufus, Emily & Lily really enjoyed the open space and chasing the big dogs that dared to cross our patch of sand. Proof is in the pictures. 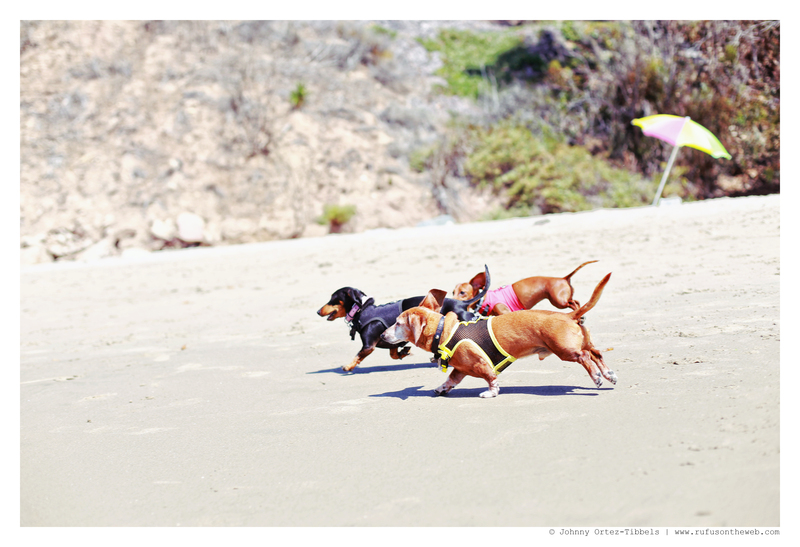 Make it a great one dachshund friends. 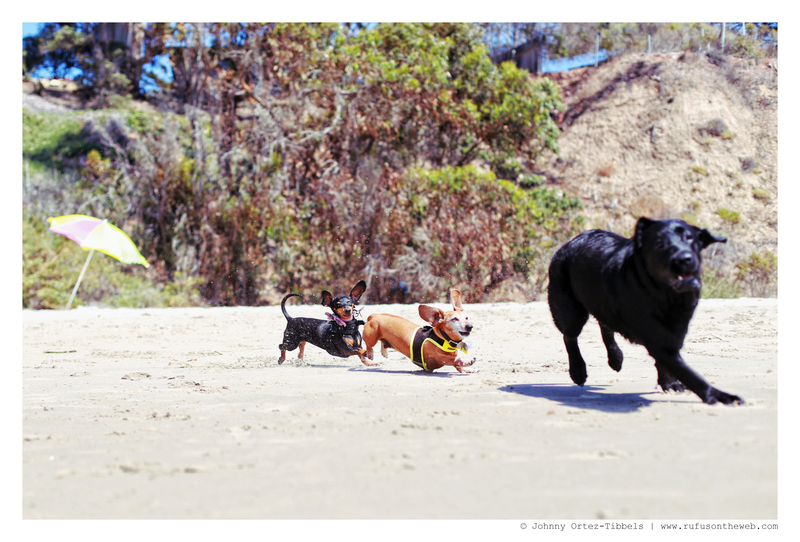 This entry was posted in Emily, Lily, Rufus and tagged #ADachshundsLife #HappyHounds, #beach #dogfriendlybeaches, #BeachFunwithDachshunds, #black and tan dachshund, #dachshund, #red dachshund, #smooth dachshund, #WienerDogs #HotDogs, doxies. Bookmark the permalink. They are going after that big dog like get out of here. Happy Birthday Rufus!! Wish I could be there. Love you Rufus!!!! Big dog? Like that ever scared a dachshund! And this one never stood a chance with the 3-pack on his tail! Great pictures. Happy Birthday Rufus! !